1. Revive from unconsciousness or apparent death. 2. Make something active or vigorous again. 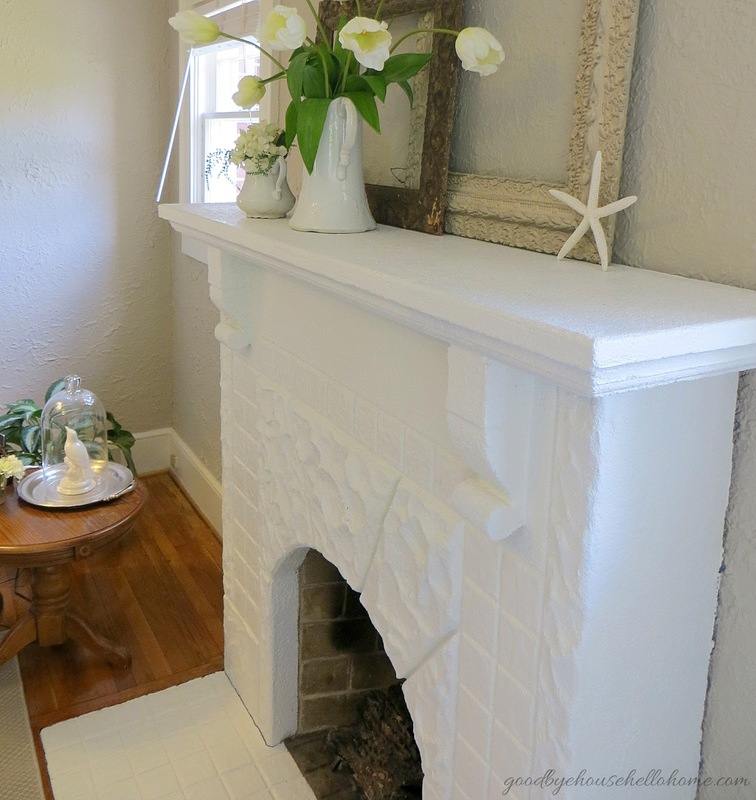 Thank you everyone, for your help and thoughts about our fireplace! 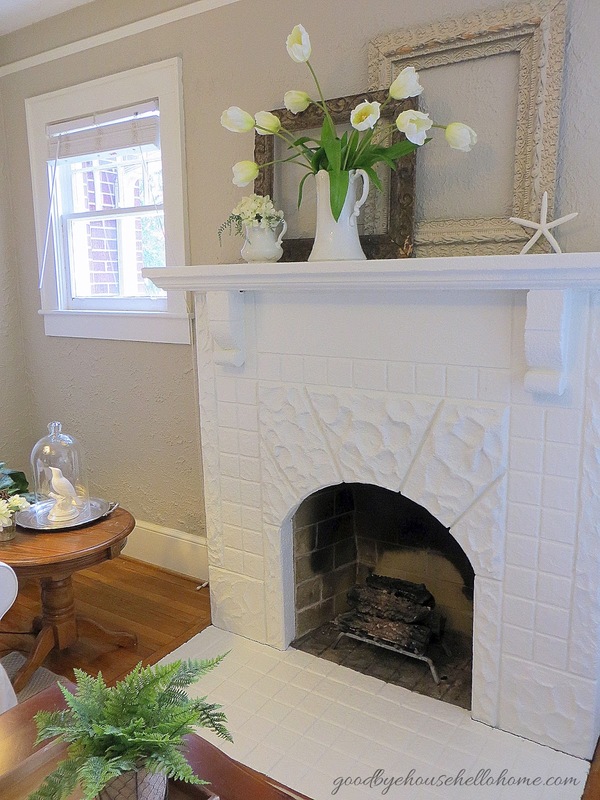 The wall color is Loggia, and the fireplace and trim is Alabaster, both Sherwin Williams. I got brave after your comments and got out the paintbrush and we love the results. but another thing to actually do it for myself. It was fairly quick and painless. 1 1/2 hours from start to dry. It's SW's Interior Pro-classic Latex Semi-gloss. 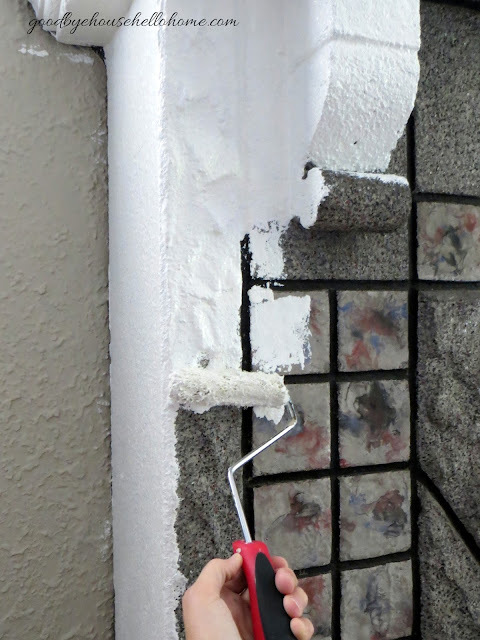 The roller is a thick, fluffy 4" Wooster roller which allowed me to roll into the grout. No brushing except to cut-in around the hearth and sides/back of the mantel. The more I painted, the more we loved it. to line the chimney, which hopefully will be before winter. After some shuffling of furniture and tchotchkes, here are more afters. The love seat and sofa are IKEA's Ektorp. The rug is IKEA's Morum, 7' by 10'. Reflection in the "foyer" mirror. it depends on what I can find at yard sales or estate sales or on sale. I have ordered picture rail hooks and wire so I can hang art. as a gift. I use it for cupcakes, mugs, shells, whatever! 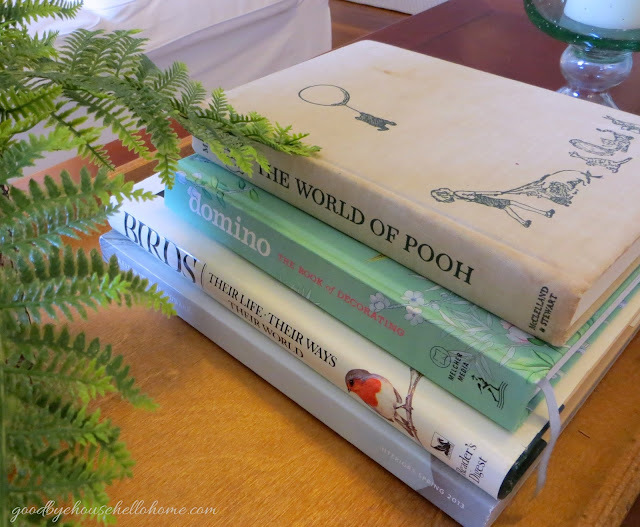 I found the free, inspirational, and fabulous printable chalk art HERE. What can I paint next? Wow - FANTASTIC job! It makes me want to paint mine. It was quick and painless. Just be brave! I love your name, too! I couldn't believe the power that paint holds over things! Whew! 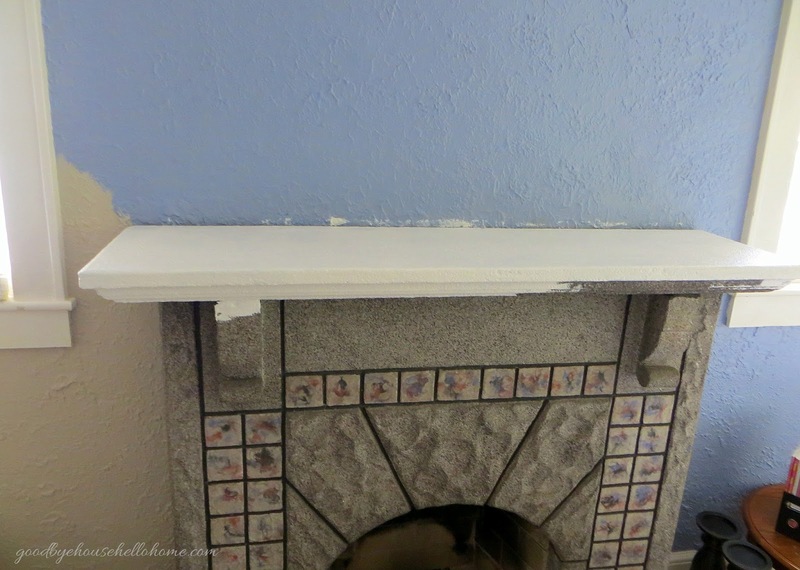 I have an oak Victorian fireplace mantel which is beautiful but I have a confession, I wish it was one I didn't like because I think a white fireplace would look so much better in my living room than oak...and my husband will not let me touch it! So I must say I am jealous that yours was in such a condition where a paint job was welcomed! It looks great! Holy cow...what a difference!! I said I didn't mind the before, but I was wrong, wrong, wrong! The white looks so amazing and I love the wall color too! The room looks so BEAUTIFUL!!! Hi Lisa! I know, right? Paint. Simple paint. Its miraculous! Awwww. I just love you! So happy your gift fits right in. And can I just say I LOVE IT!!! It looks amazing and peacefully calm! Ahhhh, I could sit right down. Hi Suzanne! You know I love you. I think of you whenever I look at or use my baskets! All my friends try to take it, too! If you were closer than Texas, I'd love to see ya! Very nice job - looks great! Will be excited to see what is next! It could not look more beautiful and you saved it. How great is that? 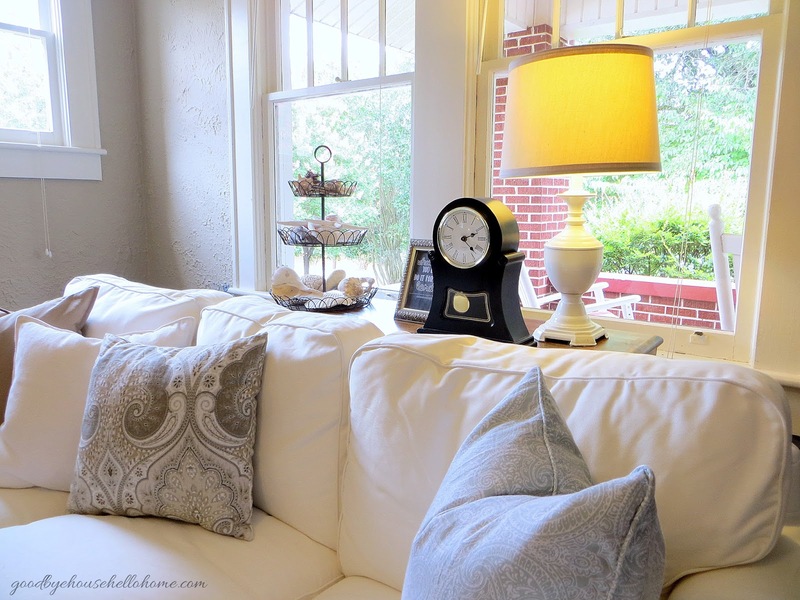 All that architectural interest and different textures brought to life by the white. I love it. Super job, Leslie, per usual. Wow! 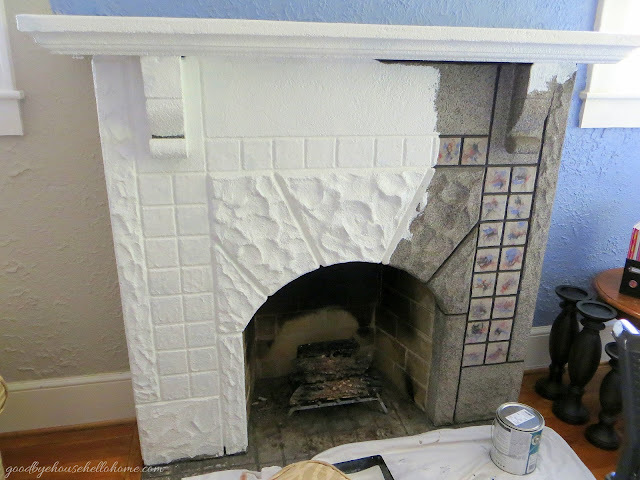 way to revive this fireplace. Makes a great focal point now for sure...and it is OUTSTANDING. I read the other post...don't think I commented...but I did read the comments and like the idea of a heater insert in there for controlled temperature. 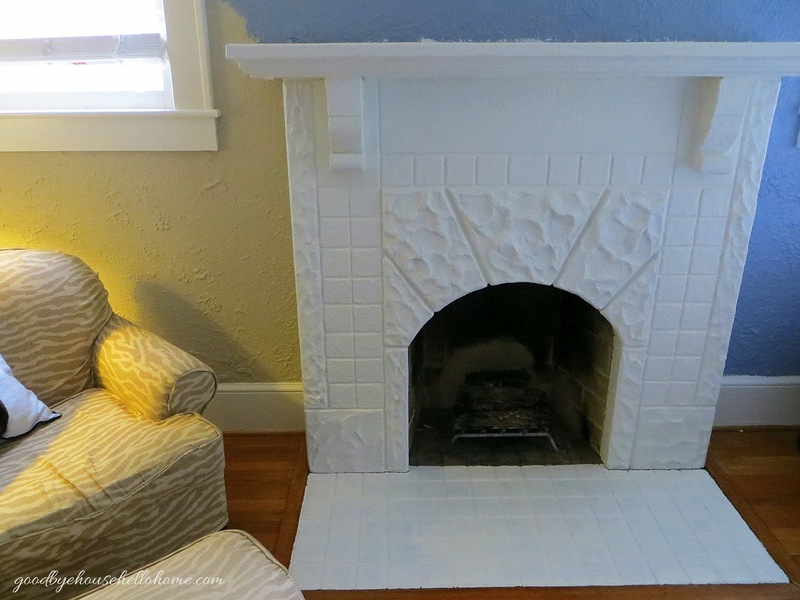 The fireplace looks so much better! 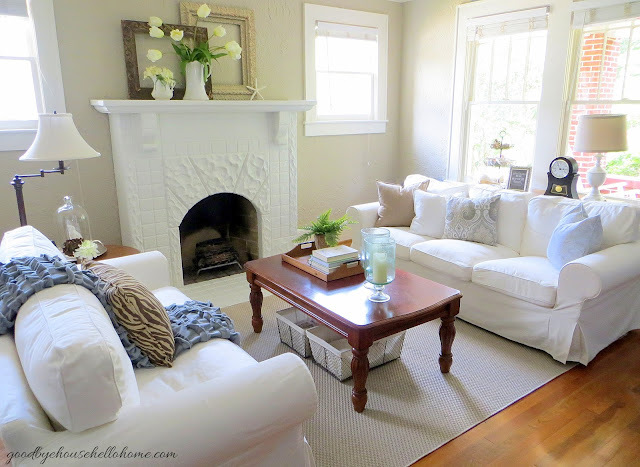 Love it painted white! Your room is just lovely. Great color there too! Beautiful work! This is such a dramatic and wonderful change. The entire feeling of your space is transformed. 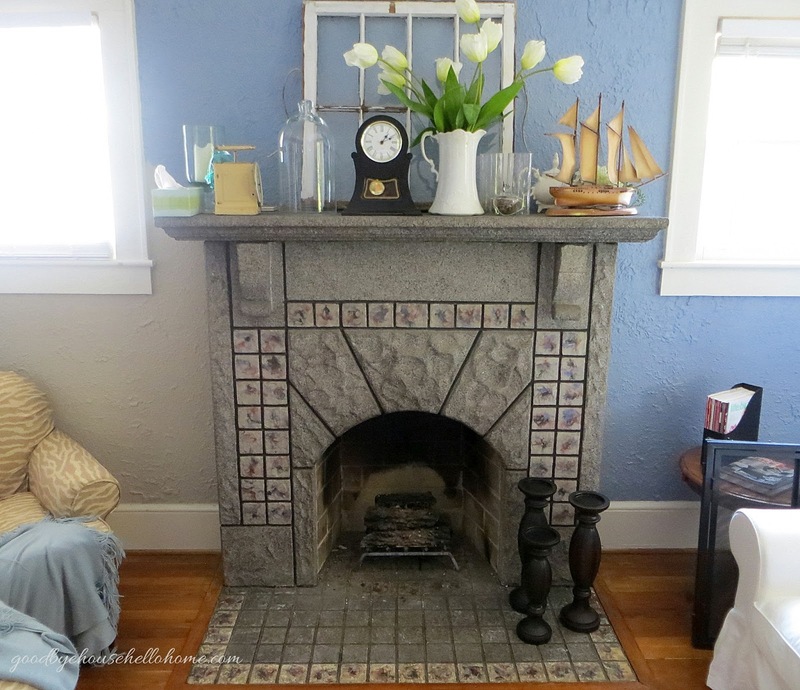 I love everything about your new fireplace and space. WOW!! Thanks for sharing Leslie!! Oh my oh my, how things have changed!!! Paint is the most marvelous thing isn't it? 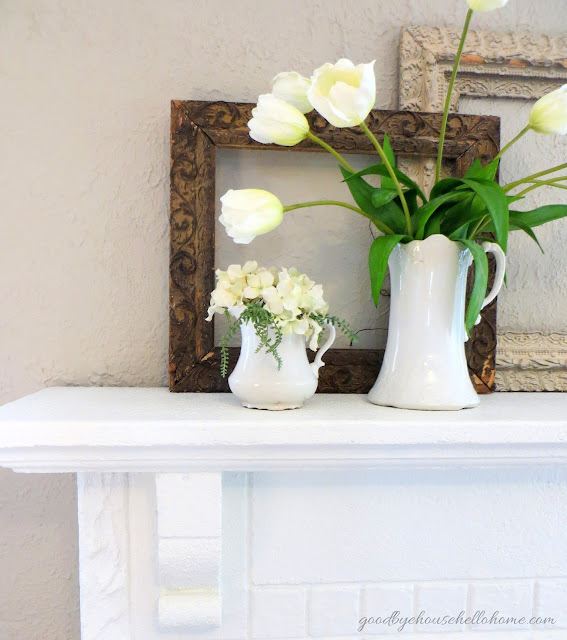 Your mantel area now looks sooooo pretty, wow!! It's wonderful, Leslie! It made all the difference in that lovely room. You did it! It looks great and wonderful that hubby was on board too. The new colours look lovely and I am very inspired to check out that rug at IKEA. 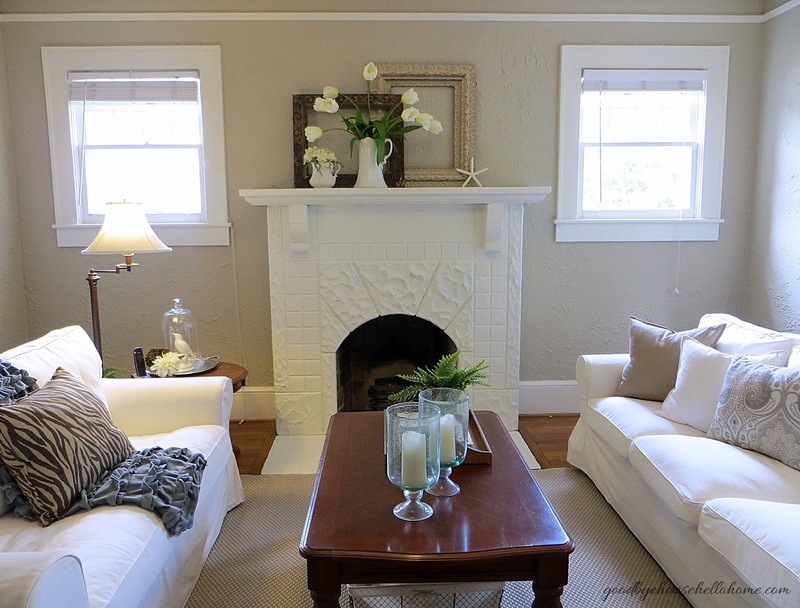 I really like the windows flanking the fireplace too. OH.MY.GOODNESS. That literally took my breath away. That is BEAUTIFUL!!! Absolutely beautiful, love. You know I'm an unconditional fan but this is priceless...like you. Much better! So much more soothing. Did you use high temperature paint? Beautiful,Leslie! The transformation is fabulous. Your designs are just fabulous. 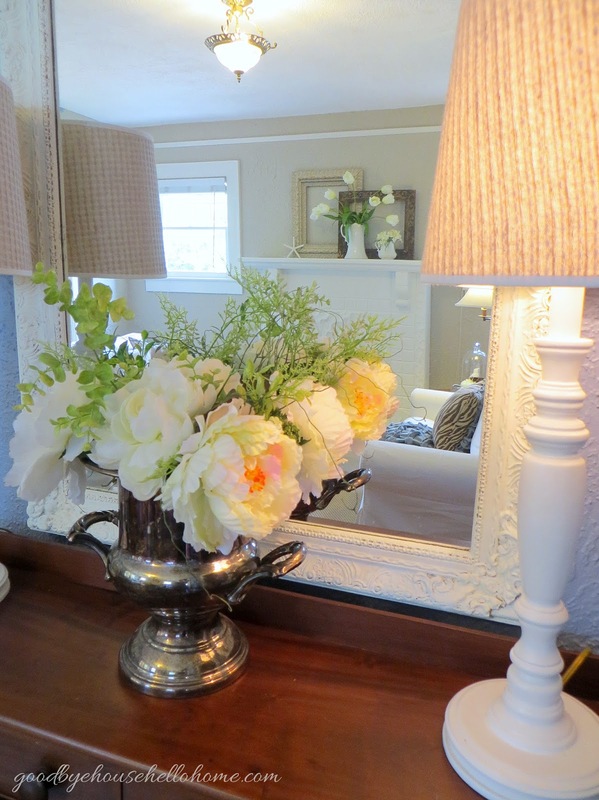 I loved the idea implementing flowers and sea elements in your interior. 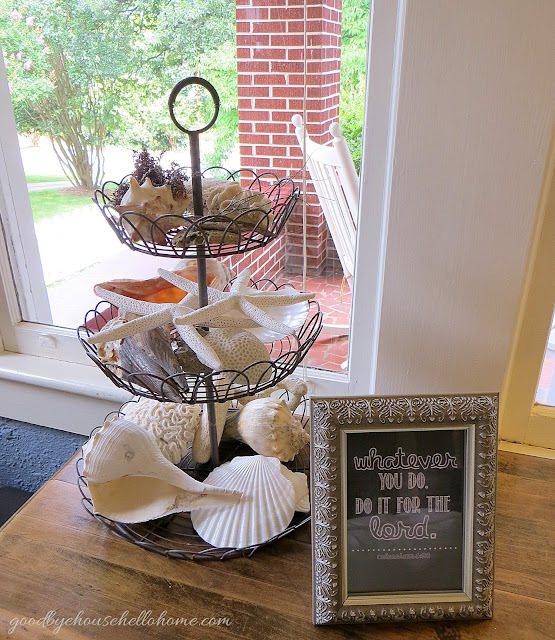 I have a box full of various sea ornaments gathered from different parts of the world and I was thinking to place them in a bowl.